This is letter of introduction about medals and pins of Br. Charles for the upcoming Centennial year starting December 1st, 2015. 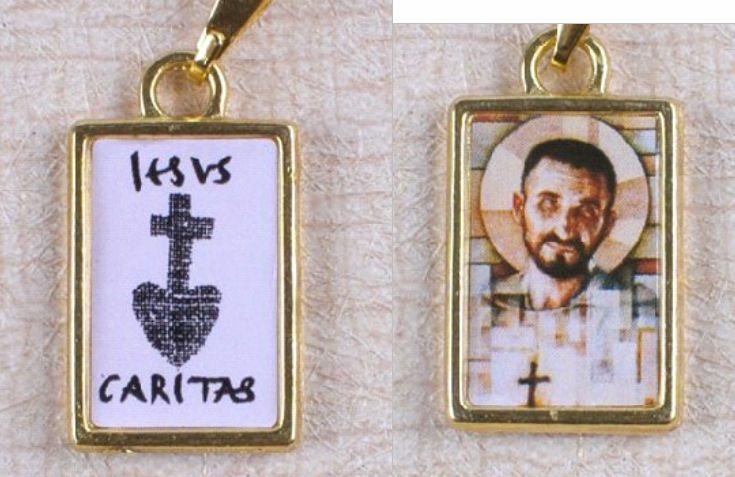 I have taken the initiative to produce some medals, lapel pins, and Jesus Caritas crosses. All these items were made in China, in very large quantities to keep the price low, so that anyone, any where in the world, can afford to have one. Eventually I hope to recoup the funds as you and I distribute these beautiful items at a low price. This a sneak preview for you. Could you please send me the emails of as many national responsible’s as possible, so they can see these items and may take some responsibility for marketing them within their own countries. When I have all the emails possible together then I will send an email to all the international addresses presenting the items and the details for the way to pay including poatage. Then only one package needs to be sent to each region/country ..
You understand the need to send these items in bulk so as to be cost effective. The items are so inexpensive it would be counterproductive to send individual orders for so little money. The postage for sending 1 or 2 make it cost prohibitive. I need to send packages in bulk only. 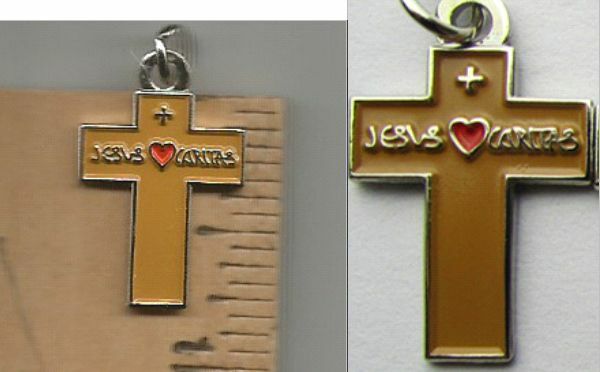 Sold only in lots outside USA due to high cost for international postage. 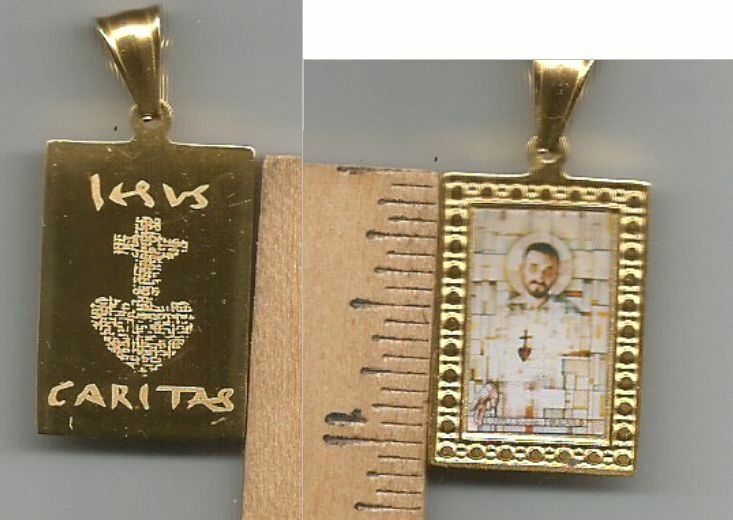 The photo of Br Charles will be larger and more detail than shown. 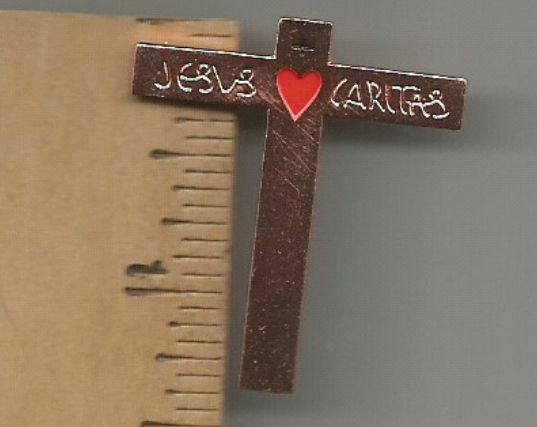 Jesus Caritas is engraved on the reverse. 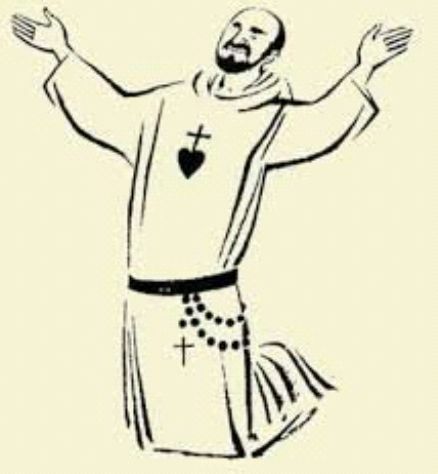 This entry was posted in Otros by Fraternidad Iesus Caritas. Bookmark the permalink.